by Wooley, John, Price, Michael H.
Comments: Good condition ex-library book with usual library markings and stickers. Wooley, John, Price, Michael H.
For a brief and shining time, they roared across the drive-in screens of America, bigger than life and three times as menacing. 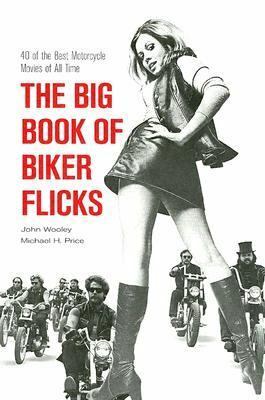 They were the colorful characters that populated the biker flicks, boozing and brawling and loving it up, symbols of unfettered freedom and forbidden thrills.Wooley, John is the author of 'Big Book Of Biker Flicks 40 Of The Best Motorcycle Movies Of All Tiime', published 2005 under ISBN 9781930709454 and ISBN 1930709455. Loading marketplace prices 4 copies from $55.12 How does the rental process work?